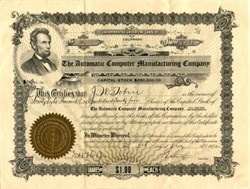 Beautifully engraved certificate from the Automatic Computer Manufacturing Company issued in 1912. 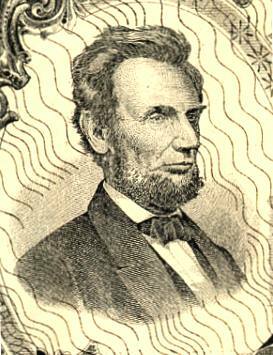 This historic document has an ornate border around it with a vignette of Abraham Lincoln. This item is hand signed by the Company's President and Secretary and is over 93 years old. This is the earliest use of the term "Computer" in the name of a company we have seen. This certificate is the only example we have seen from this company and believe it to be quite rare, possible unique.